Convinced that the end of the world was at hand, many Romantic women writers assumed the role of the female prophet to sound the alarm before the final curtain fell. 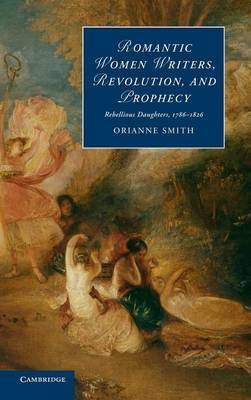 Orianne Smith argues that their prophecies were performative acts in which the prophet believed herself to be authorized by God to bring about social or religious transformation through her words. Utilizing a wealth of archival material across a wide range of historical documents, including sermons, prophecies, letters and diaries, Orianne Smith explores the work of prominent women writers - from Hester Piozzi to Ann Radcliffe, from Helen Maria Williams to Anna Barbauld and Mary Shelley - through the lens of their prophetic influence. As this book demonstrates, Romantic women writers not only thought in millenarian terms, but they did so in a way that significantly alters our current critical view of the relations between gender, genre, and literary authority in this period.